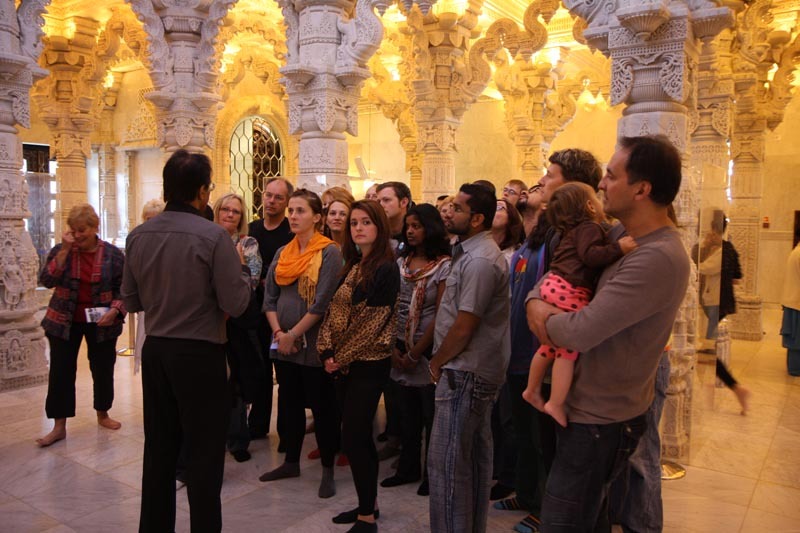 BAPS Shri Swaminarayan Mandir is once again part of the Open House London festival celebrating the capital’s inspiring architectural wonders. It’s an opportunity to take an in-depth guided tour of one of London’s most iconic religious buildings. Entry is free and open to all as always. Open House London is the capital’s greatest architectural festival, celebrating the buildings, places and neighbourhoods where we live, work and play. It is organised by Open-City, an independent, non-profit architecture group championing the role of well-designed places in creating and sustaining a successful, vibrant city. Learn more about Open House London and Open-City at the respective links.